By Xah Lee. Date: 2013-08-29 . Last updated: 2018-04-14 . Palm-rest adjustable. The length can be extended. The thumb section can be extended. The top palm rest piece's angle can be adjusted. There's a major problem with this keypad. Your key settings are not stored on the device! This is very bad. This means, you can't setup this keypad and expect it to work on another computer. You'll need to install their software first. I can't believe a company can take out the on-board memory that previous models used to have, call it a feature (Ooooh look, we have the CLOUD! ), and people will eat it up. Now, when you take it somewhere, you always have to install the software first to use it. Plus the software can and will fail. I've had it crash out at critical times while gaming, and all of a sudden all my keybinds revert to default mid-match. THANKS FOR THAT. 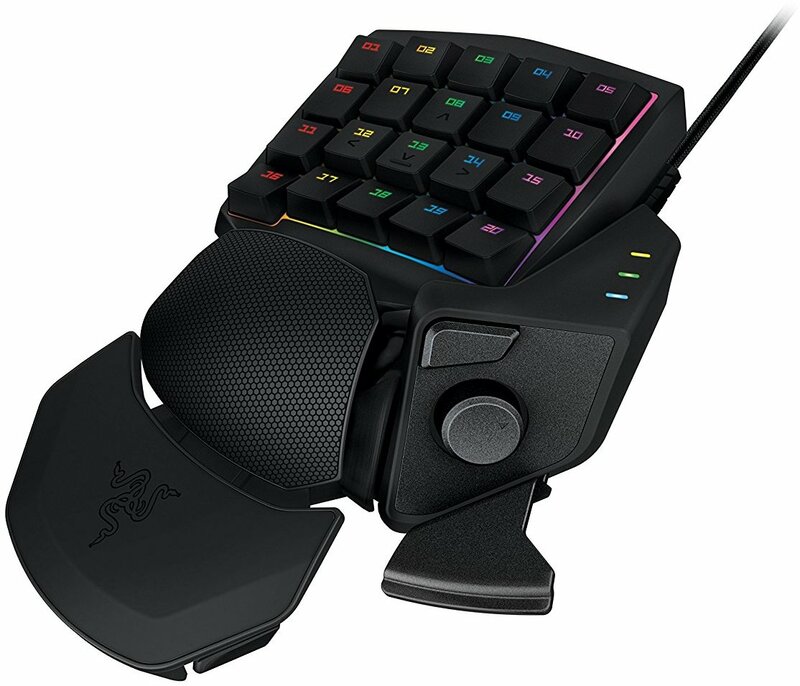 The Orbweaver *does not* store the profile on the device, you *must* have the Synapse software installed and running to have the Orbweaver use non-default keys. —Josh B. There are lots cheaper and better ones.